With the government aiming to lure 2 million Chinese tourists to the Kingdom by 2020, the Cambodia Association of Travel Agents on Wednesday signed a memorandum of understanding on tourism cooperation with Qingdao’s Culture and Tourism Promotion Board. CATA president Chhay Sivlin told Khmer Times that in the agreement, which was signed in Phnom Penh, both parties agree to work together to increase the flow of tourists between the two nations. “The purpose of this MoU is to cooperate with the Chinese to promote tourism and investment from China to our country as well as cultural exchanges with the Chinese city,” she said. “We will visit Qingdao to learn more about them and then we will organise visits for local companies to the city so that they can expand their network and meet new business partners,” she added. Qingdao is a major city in the east of Shandong province on China’s Yellow Sea coast. It is a major seaport, naval base, and industrial centre. 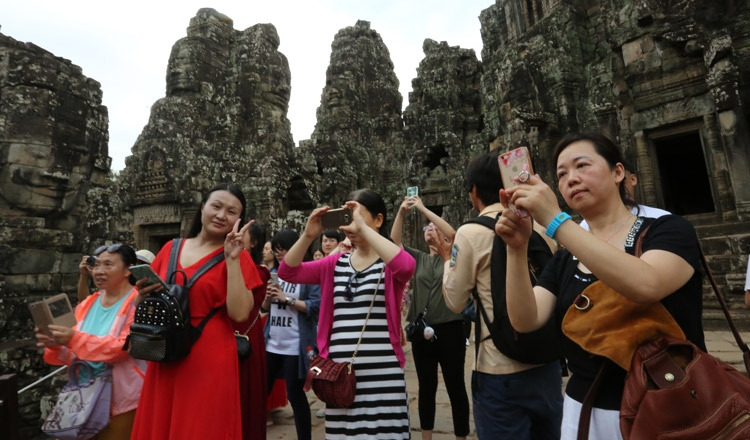 With the number of Chinese tourists travelling outside China rising rapidly, the Cambodian Ministry of Tourism aims to attract at least 2 million of them to the Kingdom a year by 2020.